Construction began on the west bound span in 2013, and the initial paving began in 2016. The original overlay material selected for the bridge deck surface wearing course did not perform as anticipated. 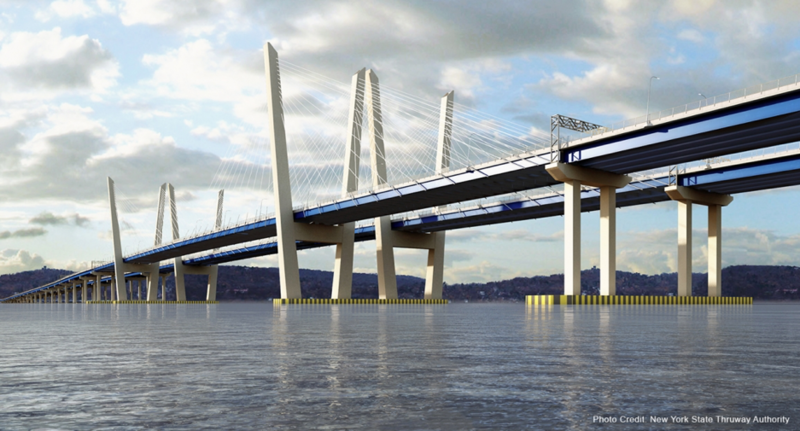 In the spring 2017, the Chase Corporation team met with Tappan Zee Constructors, to find an alternative solution. 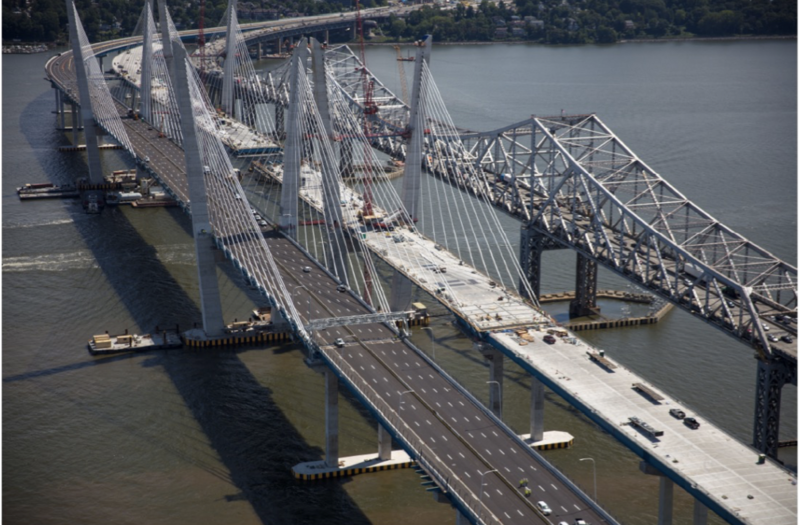 The New York State Thruway Authority, had previously used Rosphalt modified asphalt on the “old” Tappan Zee Bridge. After several meetings with the TZC and the Thruway Authority, the decision to use Rosphalt was made. Rosphalt is a thermoplastic polymer additive which, when combined with traditional asphalt, can render the asphalt “mat” waterproof. It is ideal for bridges, like the Governor Mario M. Cuomo Bridge, for providing a waterproof surface course. 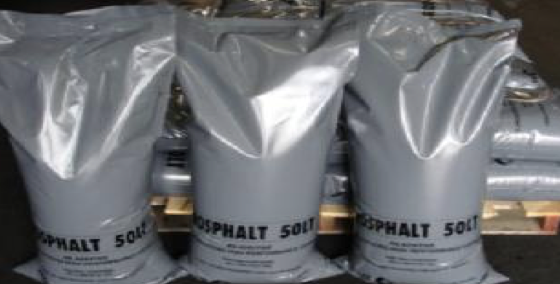 In addition, Rosphalt can help lengthen the life of traditional asphalt (as much as 3.5 times as long) and toughens the wearing surface, by preventing rutting and shoving. Paving on the bridge commenced in July 2017, Tilcon New York, Inc., the paving and asphalt producing contractor, removed the old wearing surface and began paving the west bound deck with Rosphalt modified asphalt. Nearly all of the paving was performed at night. The asphalt was produced at Tilcon’s Riverdale, NJ plant. Chase provided direct technical support both at the asphalt-producing plant and on the bridge throughout the entire paving schedule. Approximately 13,186 tons of asphalt ( 1,406,517 square feet) were paved using Rosphalt in the mix. The asphalt mat thickness varied from 1 inch to 1-1/2 inches which required approximately 14,800 units of Rosphalt and over 3,500 gallons of Edge Sealer. Construction of the East Bound Span is in progress. At the same time, the demolition of the old Tappan Zee Bridge is currently underway. Paving operations are scheduled to begin Spring 2018. If you want to learn more about this or any of our projects please contact us.